The YLAC Counter Speech Fellowship with Instagram is a platform for exceptional teen leaders to use the power of visual storytelling to drive change. In each fellowship city, promising candidates are carefully selected, trained and mentored over a period of two months to create content and start conversations on the fellowship themes of bullying, body positivity, mental wellbeing, sustainability, gender equality and diversity. The fellowship is a fully-funded, weekend only engagement open to students between 13 and 18 years of age. The sessions for the 2019 Counter Speech Fellowship in Hyderabad will take place at a central location in the city (venue to be decided). Except the first and the last day, all other sessions will be scheduled from 10 AM – 1:30 PM. Outside the sessions, fellows will be expected to create content on the themes allocated to them. This work will be done in teams through remote collaboration during the intervening weeks. In our Counter Speech Fellows, we look for passionate, spirited, creative, empathetic and committed teen leaders who wish to see the world as a more inclusive and kind place. There are no prerequisites in terms of fields of study. The final evaluation of applicants is based on their responses to the questions in a short application form and their performance during an informal interview. 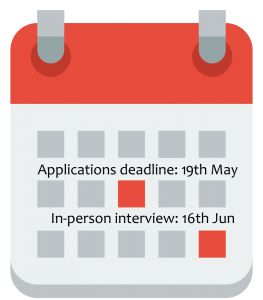 Round I: Interested candidates are required to fill in a descriptive online application form before the deadline of 19th May (Sunday). Round II: Shortlisted candidates are called for interviews. This is an informal interaction but conducted in-person. Interviews for shortlisted students will be conducted on 16th June (Sunday) at a central location in Hyderabad. Final selections will be announced soon after. 1. What is this fellowship? The Counter Speech Fellowship is an exceptional opportunity for teen leaders to engage with themes such as Bullying, Diversity, Mental Wellbeing, Body Positivity, Gender Equality and Sustainability. This one-of-its-kind fellowship seeks to use the internet and social media as a force for good to create unique communities around issues that matter, and for voicing thoughts, opinions and concerns. 2. Why has it been instituted? The internet is a powerful tool for teenagers to follow their interests, connect, express, build communities, and create support for causes. YLAC and Instagram are committed to working with teens to help them leverage this powerful tool to address issues that affect them directly. By giving teens a voice and building their capacity to mobilize people for change, we hope to create a world that embraces differences and provides support to those who need it the most. 3. Am I eligible to apply? If you are studying in grades 8th-12th and are between 13 to 18 years of age, you are eligible to apply. Students who are 18 years of age but have already completed school are not eligible. 4. What are the selection criteria? We look for passionate, spirited, creative teen leaders who wish to see the world as a more inclusive and kind place. There are no prerequisites in terms of fields of study. The final evaluation of applicants is based on their responses to the questions in a short application form and their performance during an informal interview. 5. How many fellows are selected? We usually select 25-30 Counter Speech Fellows in each city. 6. How long is the fellowship? The Counter Speech Fellowship is a two month commitment. After the fellowship launch, fellows meet every alternate weekend for a period of 3-4 hours in their city. Applicants are advised to refer to the detailed calendar here. 7. How much time will I commit? Fellows are required to attend the scheduled weekend sessions; each session is 3-4 hours long. However, the fellowship launch including the orientation is a full day session (8 hours). Outside the sessions, fellows are required to create content for the fellowship theme allocated to them - Bullying, Diversity, Mental Wellbeing, Body Positivity, Gender Equality and Sustainability. However, this workload is spread over the intervening weeks and expected to be manageable. 8. Do I take leave from school? No, you do not need to take leave from school as all fellowship sessions are scheduled on weekends. 9. Do I need an Instagram account? You don’t need to have an Instagram account while applying to the fellowship. But, you will need to post content on Instagram theme handles during the fellowship, and will therefore need to get familiar with the platform to be able to contribute effectively. 10. Do I have to pay a fee? No! This is a fully funded fellowship. Just give the fellowship your creative best. You need not worry about anything else! 11. Is there an orientation? YLAC and Instagram conduct a training and orientation session for the fellows on the first day of the fellowship. This session has been designed to give the fellows an overview of what the Counter Speech Fellowship has in store for them. The session is also meant to help them understand how they can contribute and what their roles and responsibilities are during and after the fellowship. 12. Who facilitates the sessions? The sessions are facilitated by the YLAC and the Instagram teams. During the course of the fellowship, a number of external speakers, social media influencers, policy makers, content makers and other guests are also invited to conduct specific sessions with the fellows. They engage and interact with the fellows on the identified issues and themes. 13. Do I get a certificate? Yes, fellows are given a certificate of completion at the end of the fellowship and those who demonstrate leadership and produce the best content are duly recognized. Yes, attendance at the sessions is mandatory. Since fellows are tasked with working in groups, the absence of any fellow is a disadvantage to his or her team. Please check the schedule carefully to ensure your availability. Feel free to write to us at office(at)ylacindia.com in case you have any queries.